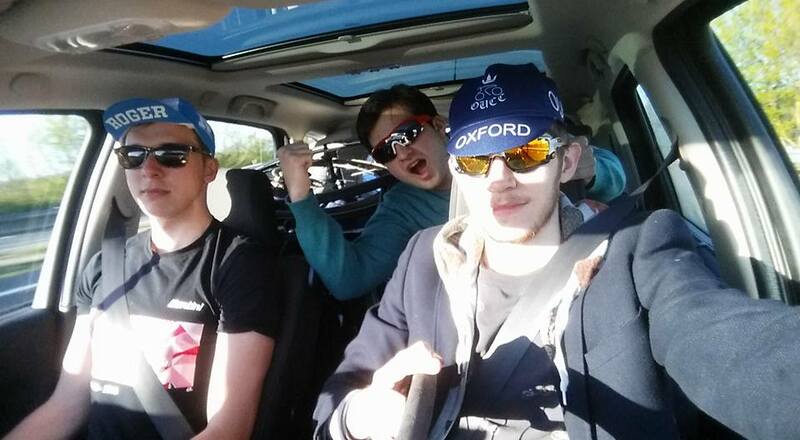 On May Day weekend, OUCC sent a squad of riders up to the vaguely titled North to compete in the club’s first ever stage race appearance, the Rockingham Forest 2-day. 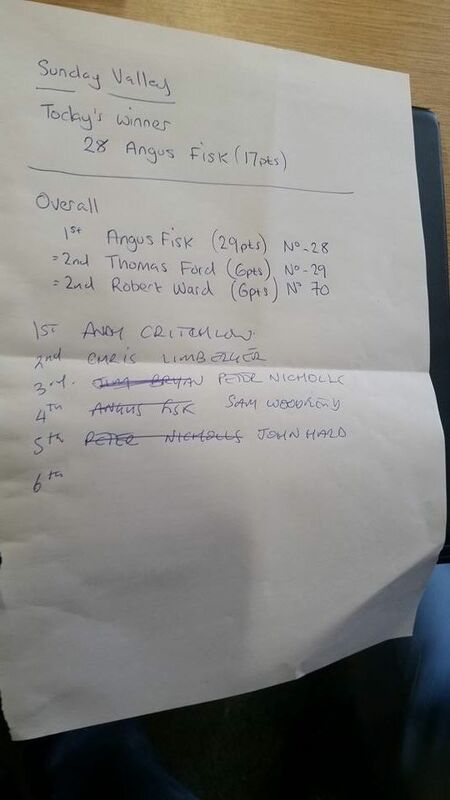 The race comprised 3 stages: a short 4.8km prologue, and two hilly road stages of c.95km; the team comprised skinny climbing specialist Angus Fisk and his trusty domestique roulers Ben de Jager and Noah Harding. The standings saw Angus 5:57, me 6:06 and Noah 6:17. The stage was won in a monster time of 5:33! After a few hours of recovery shakes and stretching, it was time for the first real road stage. 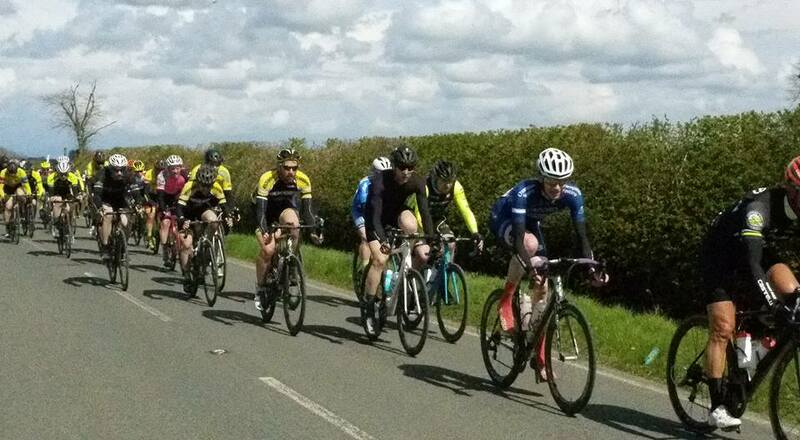 This was an unpleasantly hilly course, with plenty of KOM points available. The stage started…badly, since it hailed on us for about 20 minutes before weather more befitting of the end of April finally arrived. Angus proceeded to attack up the climb immediately, and (to absolutely no-one’s surprise) found himself the fastest climber. This was bad news for the more gravitationally-challenged of us in the bunch, and Noah and I suffered like dogs for the first hour to stay with his pace. Noah was dropped on the 3rd ascent of the climb unfortunately, and got to channel his inner Kittel by riding in the grupetto. On the 5th ascent, my legs started to feel a bit better. Up front, Nairo Fisk-tana continued his assault on gravity by getting in the (race-winning) break over the top of the climb (therefore clinching the KOM jersey for the day) before immediately puncturing. 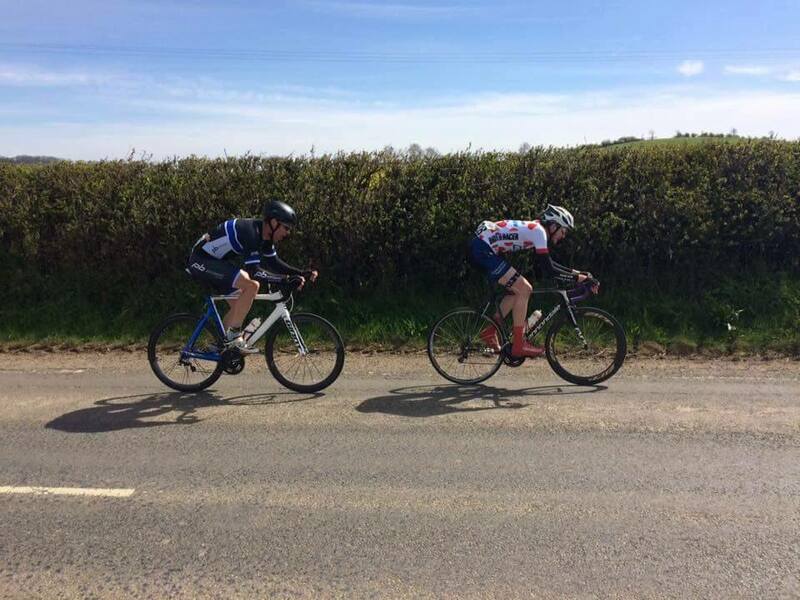 The pace was therefore less infernal up the hill and so I honoured Angus’ memory by attacking over the summit on the final ascent to try and bridge to riders up the road. 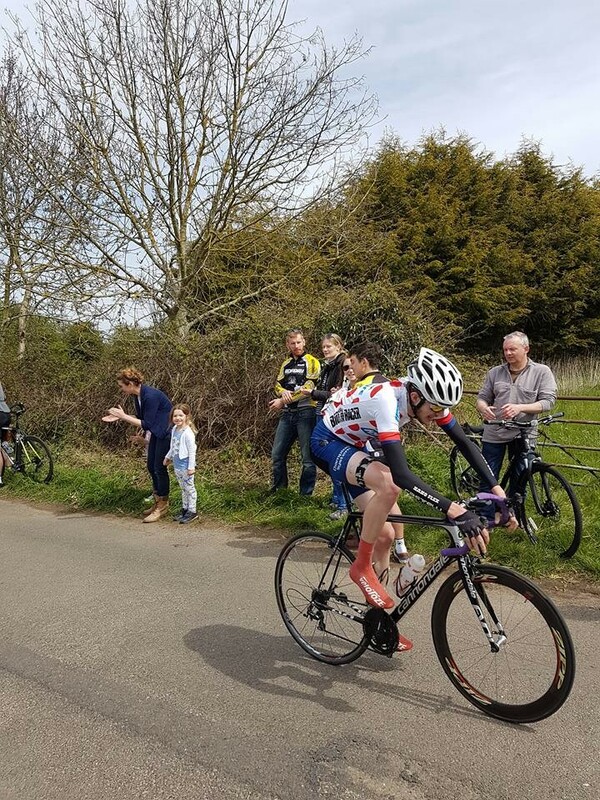 I attacked again with 3km to go and managed to get a decent gap before starting to cramp, an issue that continued to plague me into the reduced bunch finish where I rolled home mid-pack. The stage was won solo by Luke Souter, who also won Banbury Star solo last year. He therefore took themaillot jaune, and Angus was awarded the King of the Mountains prize for the stage. 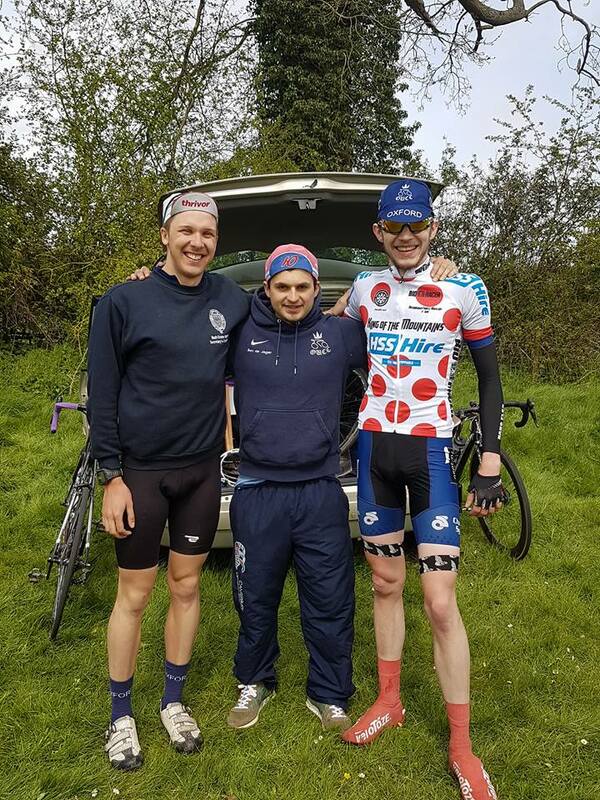 Noah and I, and OUCC road squad coach Gary (MBE) helped defend Angus’ polka dot jersey for the first few laps, and allied with the race leader’s team to help chase down breaks. This later turned out to be a bad idea, because every man and his mother wanted to try and unseat the race leader, and all of them had apparently taken blood bags overnight* since the average speed was 40kph for the first hour and a half. Around 60km in, an incident over a humpback bridge saw the peloton decimated in a crash. 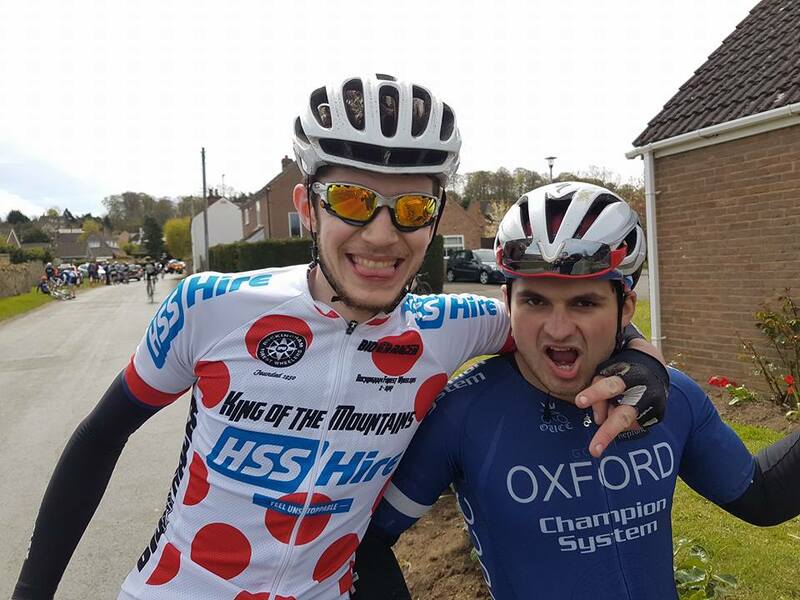 The race leader went down, and I landed on him, where the impact force of 75 Fatancur Kilos (TM) did not help his broken collarbone one bit. Noah and I effectively exited the race at this point, after chasing in vain for quite some distance. The peloton was shattered further by another crash 10k up the road, leaving Angus clear of the field in a strong break of 5. 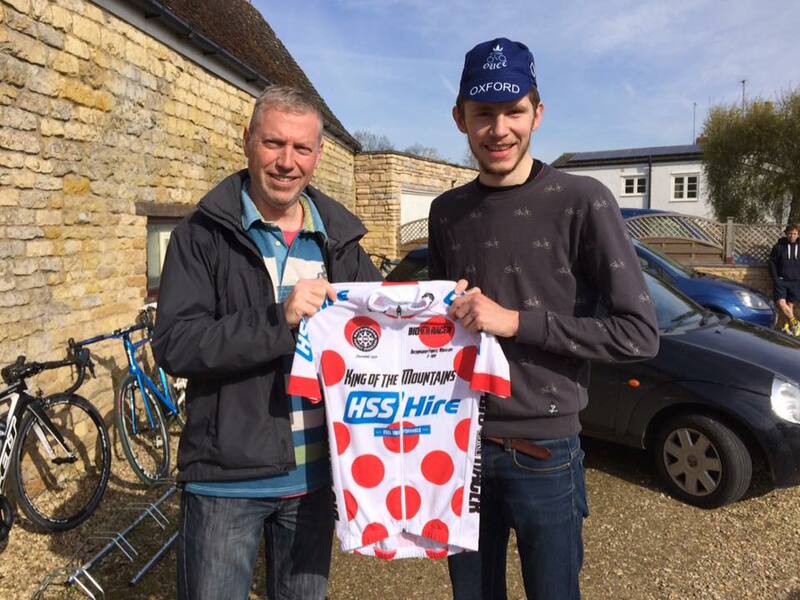 This allowed him to mop up the remaining KOM points, clinching the jersey 23 points clear of his nearest competitor. To add to this achievement, he suffered in the break to cling on for 4th on the stage, putting out nearly 300W normalised for the entire stage! Angus therefore got to take the jersey home, along with Â£90 prize money, which nearly pays for the tub that he punctured. Expect to see it at every social from now on. Fatancur (a.k.a. Mr Benjamin De Jager). *Note any references here are purely for comical purposes, we do not suspect anyone of illegally enhancing their performance. 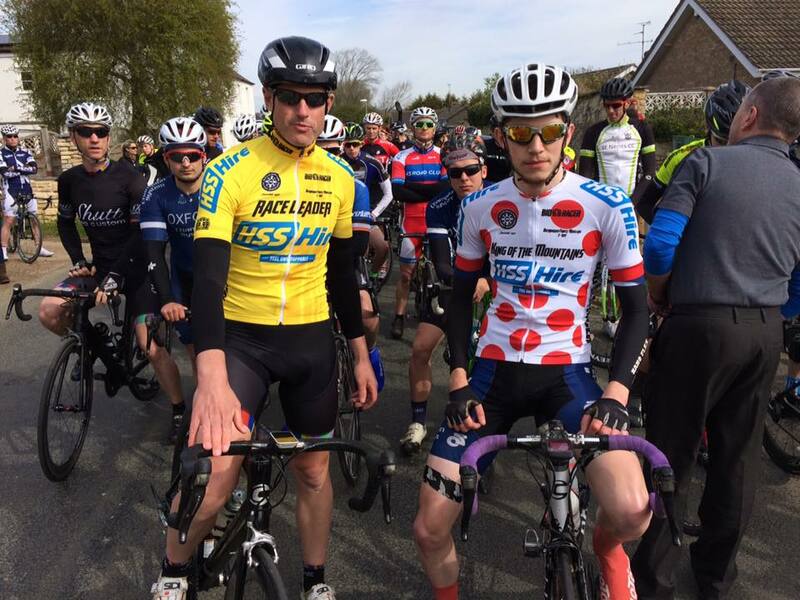 Massive thanks to Rockingham Forest Wheelers for putting on such a great event, we will try and make it back for more next year! Celebration! We won the Jersey!